Lux Helsinki promises to be bigger than ever as satellite installations will spread the festival for the first time all the way to Espoo. “Lux Hanaholmen” brings altogether 12 pieces of light art in Hanaholmen. Lux Hanaholmen starts at the same time with Lux Helsinki’s main event on Saturday January 5th 2019 continuing until 3rd of March! Light installations by three artists, Finnish light artists Alexander Salvesen and Jyrki Sinisalo as well as Swedish Sofia Ivarsson, will be presented both indoors and out at Hanaholmen. Lux Hanaholmen is organized in collaboration with Lux Helsinki. 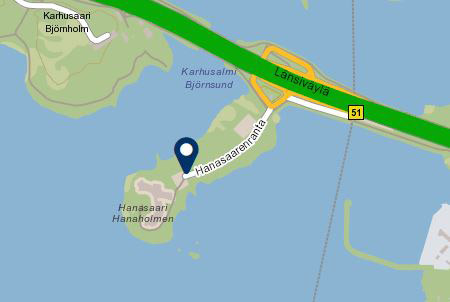 Lux Hanaholmen starts at 5 p.m. on Saturday, January 5th, 2019. After opening day lights are on daily between 7 a.m. and 10 p.m. from Sunday, January 6th to Sunday, March 3rd, 2019. Restaurant Johannes’ Västkust-menu introduces seafood oriented cuisine typical to Sweden’s West coast (“västkust”). Menu is available to the end of March, 2019. Art & Wine theme weekend on January 26th combines building’s gorgeous architecture, art, design, delicious food and good night’s sleep.